26.59mm x 8mm / 1.047in. x 0.315in. 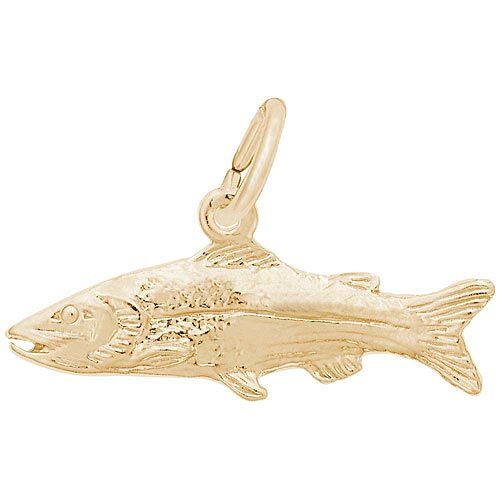 Snook Fish Charm by Rembrandt Charms. The length is 1 inch. Our Snook Fish Charm will have everyone hooked on charm bracelets. No need to fish for compliments with this three-dimensional charm. This fish jewelry piece can be placed on a necklace as a pendant or will be a wonderful addition as a charm for a Charm Bracelet. All Rembrandt Charms are available in either silver or gold.